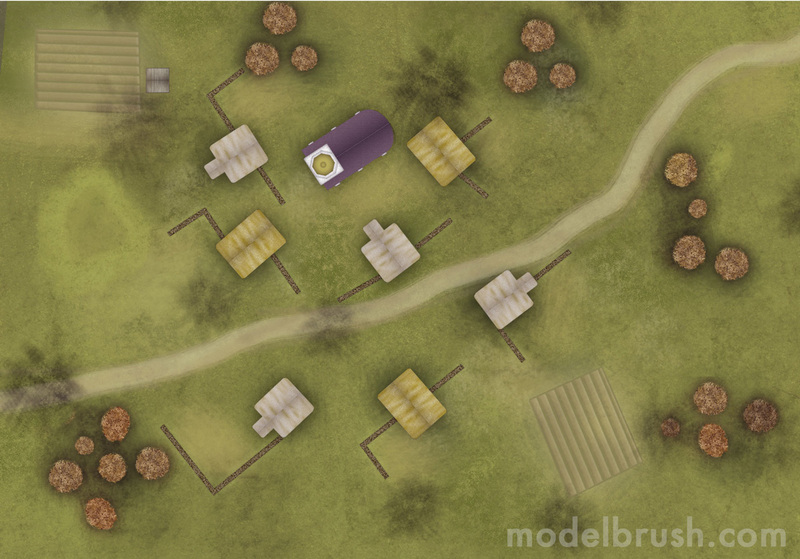 For the third phase of the Flames of War League in Goblintrader, we’ve created 3 predefined maps for the guys to quickly set up the battles. 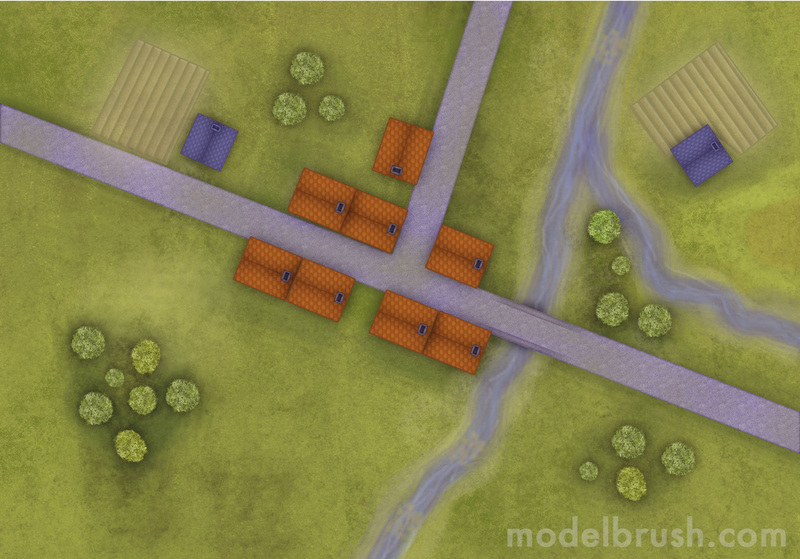 In this third phase of the Flames of war league that we’re managing, they’re going to play 3 missions, so we created 3 maps for them. Also, we’ve separated the scenery for each of those maps in separate boxes. So, when they’re going to play, they roll 1d6 and select the box with the scenery. Then, they set up these scenery following the maps. Great idea by one of the players: thanks, Javi! Here you have the maps in case you want to represent them on your tables. Till next time! Hola, ¿están a resolución imprimible para sacarlos en lonas? No, lo siento. 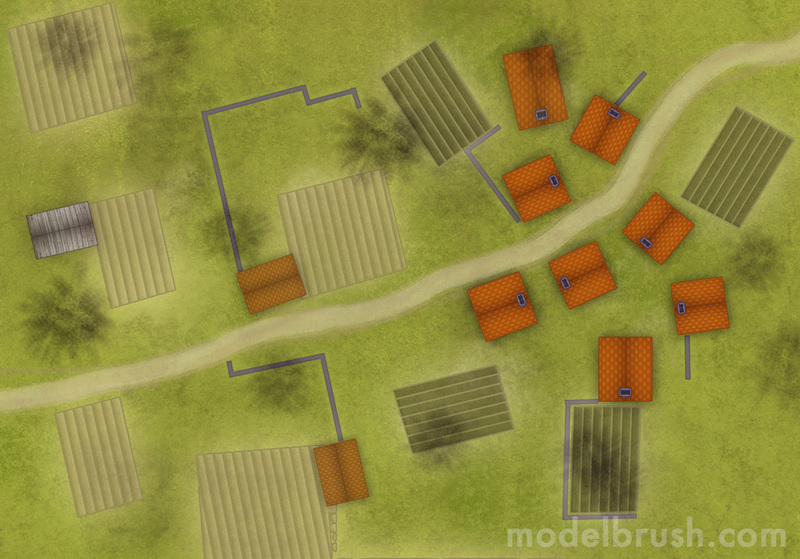 Estos mapas son a baja resolución como ayuda a la construcción de los escenarios de las Ligas de Flames of War que organizamos en Goblintrader. Si estás interesado, de momento tenemos tapetes para TANKS que combinándolos puedes armar una mesa de 180×90 (próximamente los vamos a unir en uno de 180×120).